What the AMC Summit revealed about Season 4 of 'Better Call Saul' – AiPT! 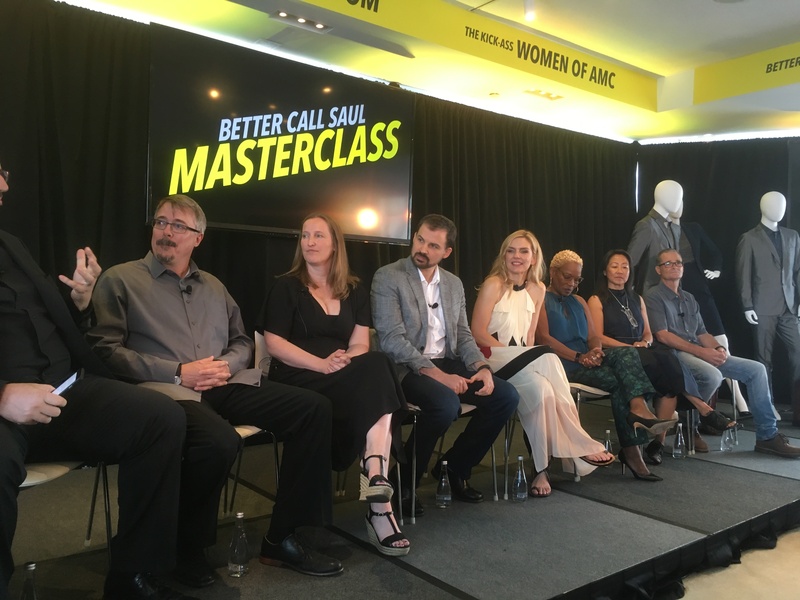 Better Call Saul Executive Producers Vince Gilligan and Melissa Bernstein among assorted cast and crew were on hand at the AMC Summit press day on Wednesday in New York City to discuss the show and drop hints about what to expect in the upcoming season. Those perhaps hoping Jimmy’s brother Chuck (Michael McKean) will be miraculously saved from his burning house should be prepared to have those hopes dashed as producers as well as actress Rhea Seehorn (Kim Wexler) casually acknowledged the future Saul Goodman would be dealing with the aftermath of his brother’s death in Season 4. Series Costume Designer Jennifer Bryan displayed two “ultra shiny suits” and the ominous skull-tipped boots worn by The Cousins, fan favorite characters from ‘Breaking Bad’ that briefly appeared in Season 2 of ‘Better Call Saul,’ suggesting Tuco’s twin cousins may be returning this season. Unsurprisingly, one of Better Call Saul’s fan favorite characters will also return this season. “We left Gene in great peril, so we will return, and we will see Gene,” Bernstein promised, referring to Jimmy’s post-Breaking Bad-era, Cinnabon employee persona briefly glimpsed at the start of every season in black and white flash forwards. Season 4 of “Better Call Saul” premieres on August 6 at 9 p.m. ET on AMC.